We provide a premium service and guest experience that sets us apart from other companies. 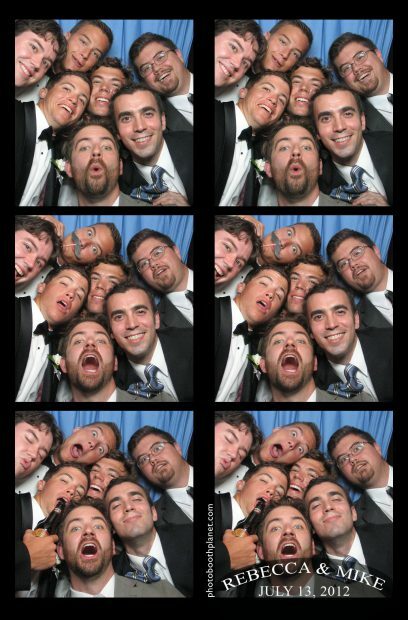 In addition to establishing ourselves as one of the nation’s top wedding photo booth providers, we also provide photo booths for corporate events both large and small. Before your guests arrive we will deliver and set up the photo booth for your event. 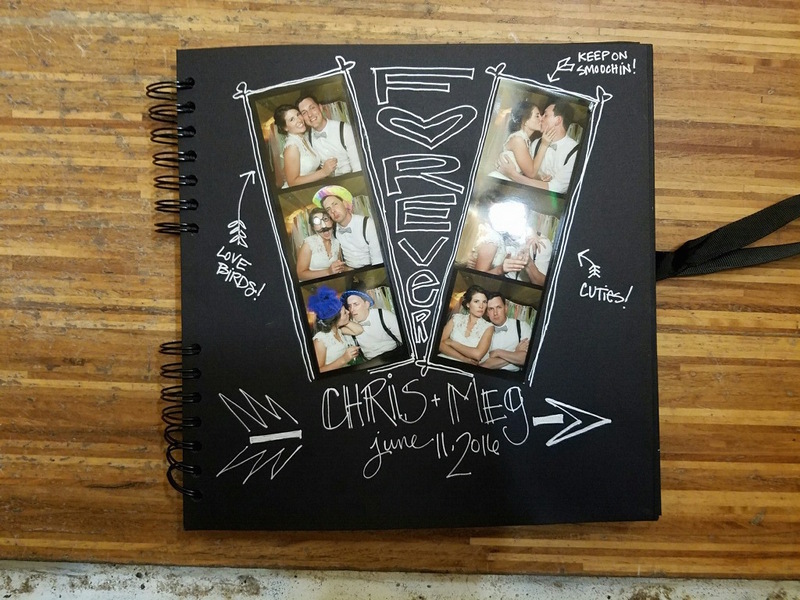 Our friendly attendants are trained to welcome guests, acquaint them with the photo booth, coach them in how to take amazing photos, and when applicable, assemble the photo guestbook. 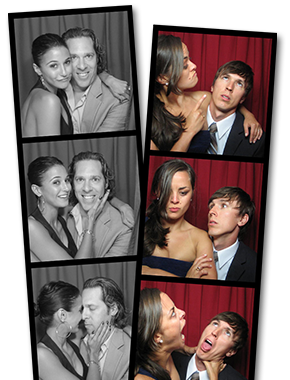 Our goal is to send your guests home with a big stack of photo-strips so we encourage maximum use of our photo booths. 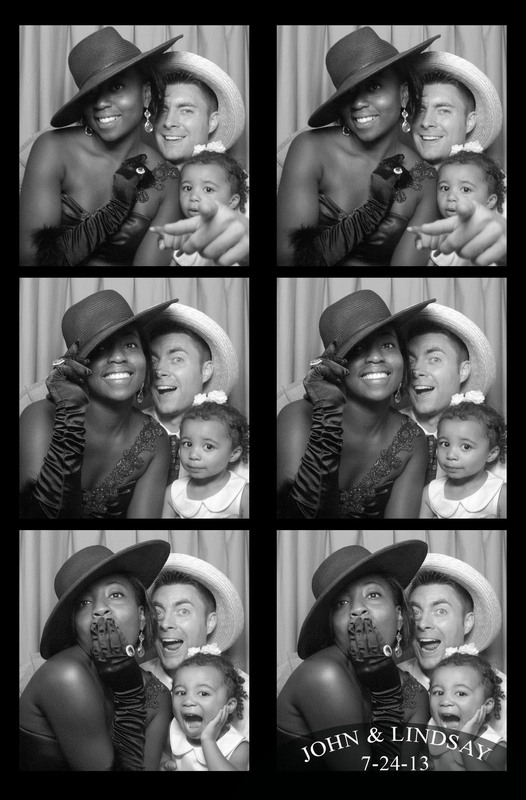 The thrill in having a photo booth at your event is being able to take as many pictures with as many friends as you want. Our booths prints out two identical strips. Our photo booth technology and flattering lighting technique create clear, high-resolution photos that not only look good, but make your guests look good as well. For weddings or events with a guest of honor, the primary deliverable we provide is the photo guestbook we create on-site. 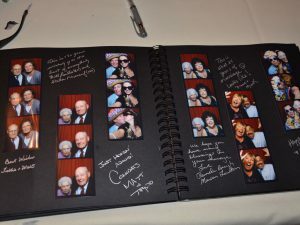 Our attendants are trained to understand that everything they do is in service to creating a one-of-a-kind, once-in-a-lifetime, archive of the special people who were invited to your event. 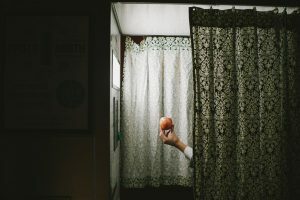 Our attendants curate an organic process of assembling into a book, the creative expressions – both photographic and written – of all who made the event what it was. 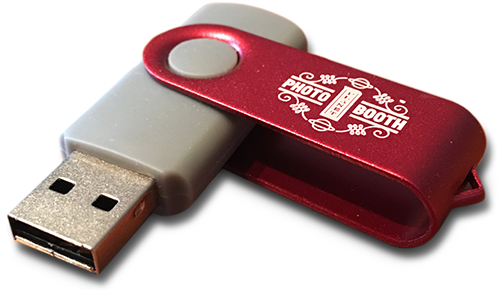 At the end of the event, all our clients receive a flash drive with all the digital files created during the rental. Feel free to post them online, and make reprints or enlargements. We have multiple customization options for private and corporate events. 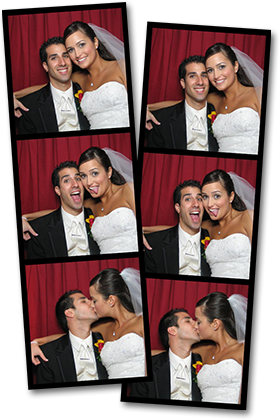 For bridal couples, we can put your names and the date on the bottom of the strip guests take, turning the photo booth into an instant, wedding favor machine. For corporate clients we can put your logo or any text you like on the photo-strips for maximum marketing impact. Custom curtain options, including hydrangea blue, silver, black, burgundy, pink, damask and more may also be available. 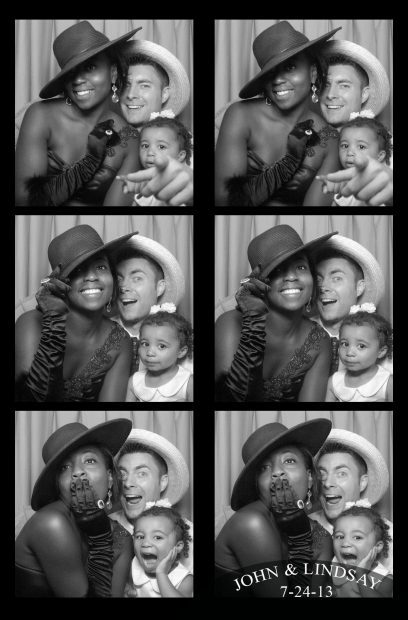 It’s your photo booth… make it “you”! 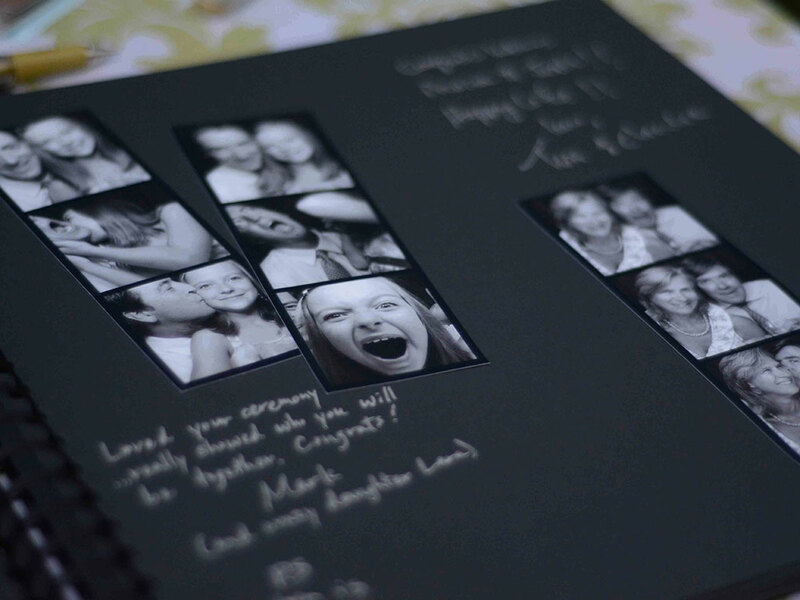 The poster on the side of our photo booths is also customizable to your event for an additional fee. 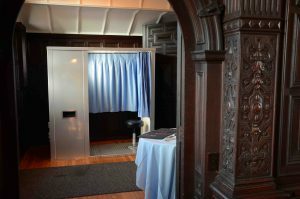 Photobooth rentals are hugely popular for weddings, but why not have one at your next holiday party or other corporate event? 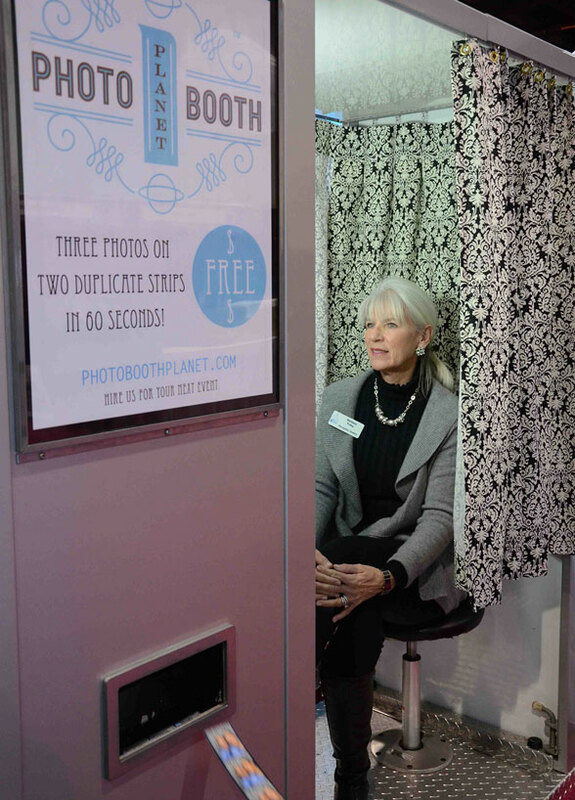 A photo booth is the perfect way to celebrate your next company milestone, new product launch or grand opening. 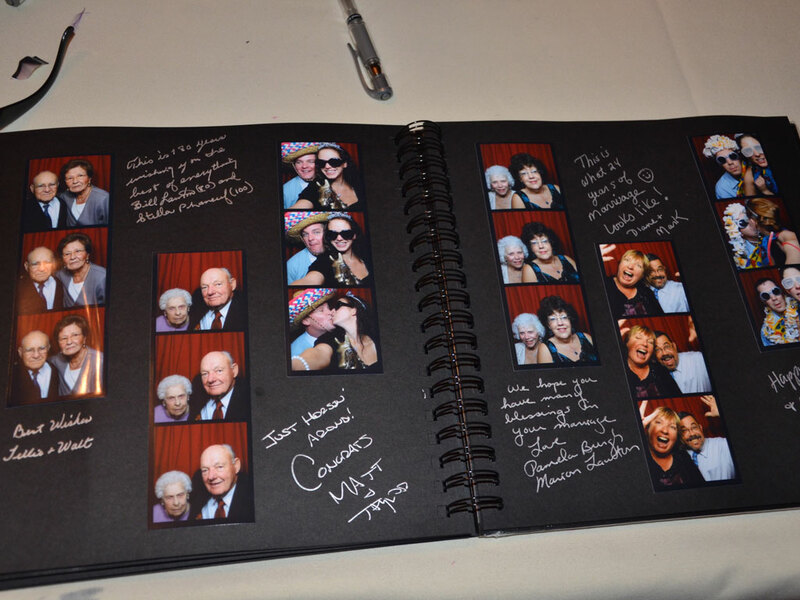 Our automatic duplicate strips with customizable text and logo borders provide continuous in-event entertainment and post-event keepsakes for your guests while promoting your company’s name and brand in a memorable way. 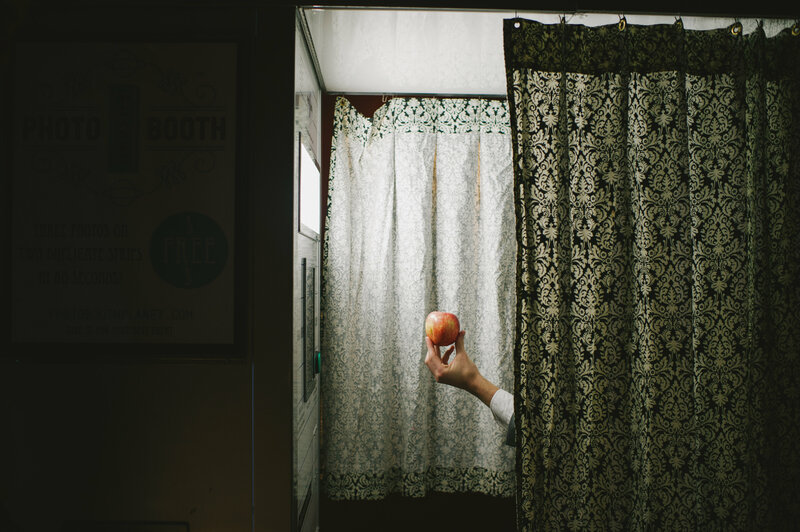 Our photobooths have served events of all flavors and sizes for everyone from local businesses to Fortune-500-level companies. Let us make your next company party or event the best yet with an affordable, premium photo booth rental. Contact us today!